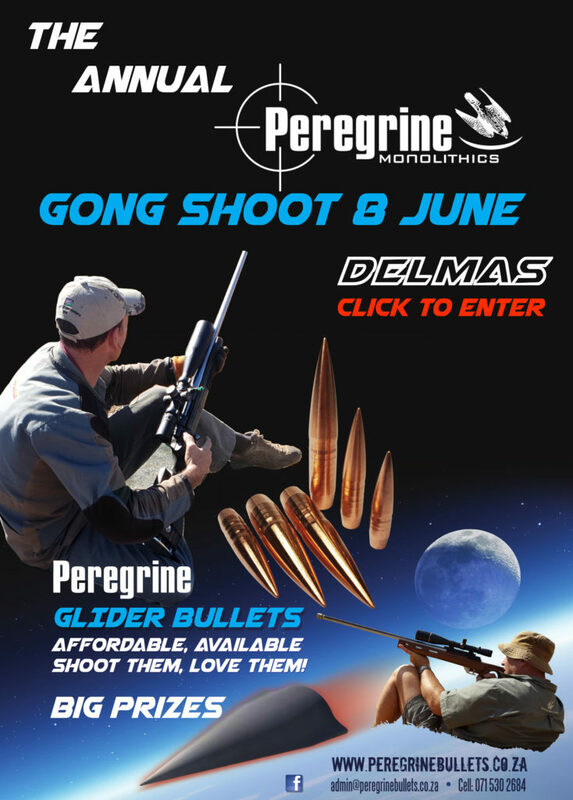 When it comes to reloading PEREGRINE™ bullets cutting edge technology and exceptional performance are now recognised, utilised and proven by the hunting professionals and gun connoisseurs alike. Our patented designs functions equally well at very low and very high muzzle and target velocities. 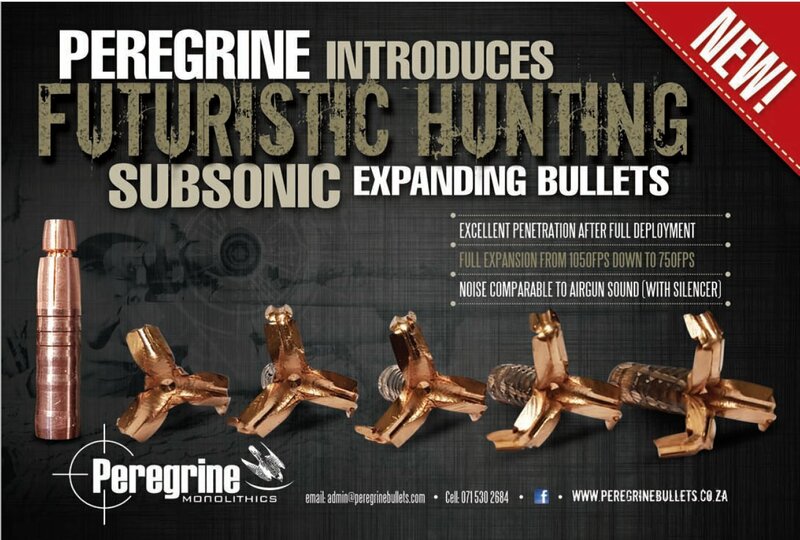 Peregrine hunting bullets patented designs functions equally well at very low and very high muzzle and target velocities. 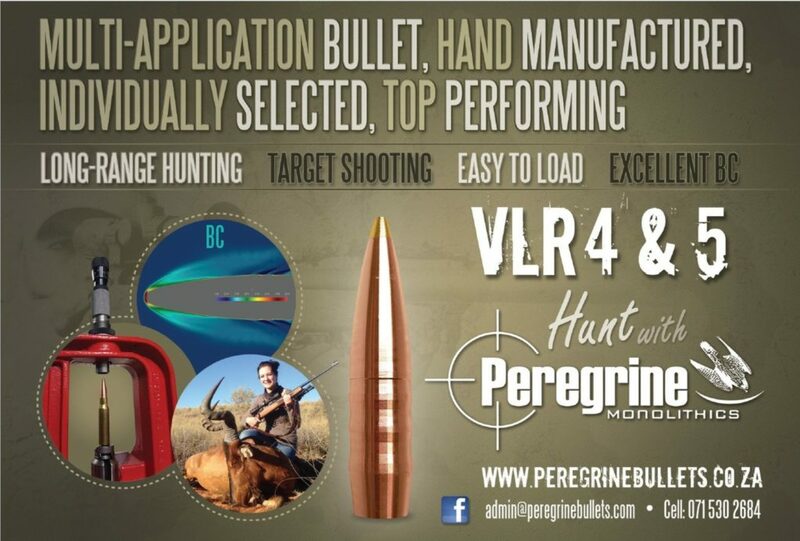 This allows the hunter unprecedented flexibility of application where it is possible to hunt with terminal velocities below 1600fps (guaranteed) right through the spectrum of magnum rifles with muzzle velocities up to 4000 fps. Ballistics is the science of mechanics that deals with the launching, flight, behavior, and effects of projectiles, especially bullets, gravity bombs, rockets, or the like; the science or art of designing and accelerating projectiles so as to achieve a desired performance.